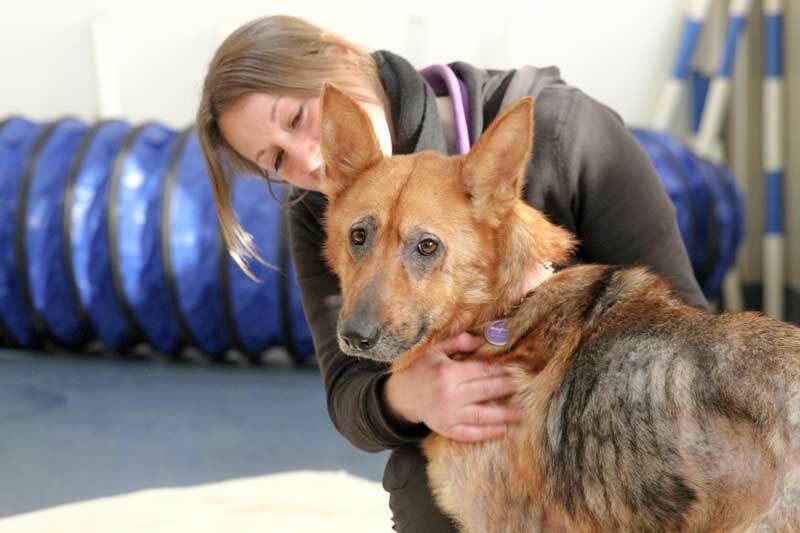 On Tuesday 26 March, Mayhew launched an appeal to raise awareness and funds for the recovery of a neglected German Shepherd they rescued from the brink of death. Three-year-old Tess arrived at the animal welfare charity earlier this year in a shocking state. Shaking, scared and starving, she was well below the recommended weight for her breed and age – weighing just 19 kilos. Her body was covered in painful sores and several large patches of fur were missing – including her tail, which was almost stripped bare. 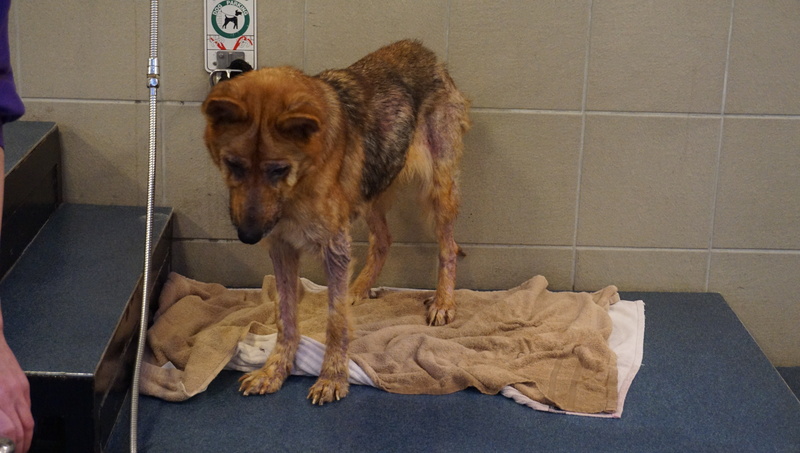 Described as “drained of emotion and life” by Mayhew’s staff, it was clear the race was on to stop her suffering. Seeing that Tess was in such a critical state, the Veterinary and Kennels teams sprung into action providing her with the care she needed. 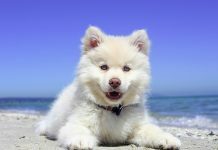 The first steps included swab tests that would establish any sinister underlying causes for the inflamed skin and fur loss. 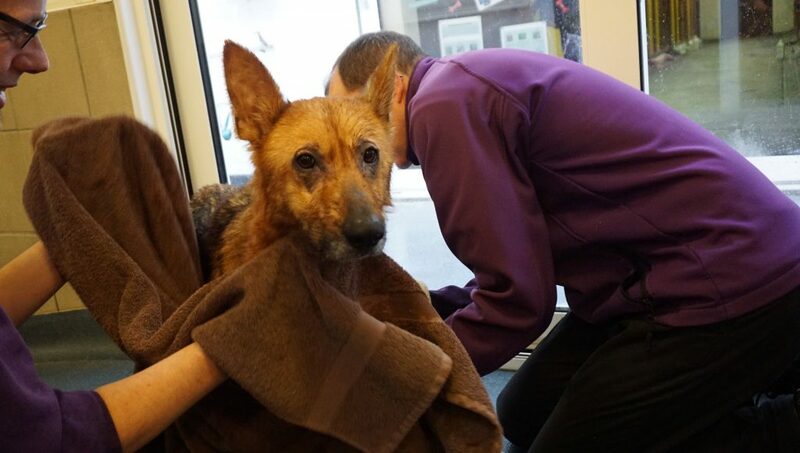 Tess was also given medicated baths to soothe her sores, and was moved into a warm kennel with a sofa and soft blankets to minimise her discomfort. Desperately thin and emaciated, Tess was put on a special diet that would allow her to gain weight slowly without overwhelming her stomach. 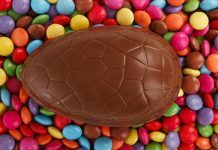 Six small meals a day allowed her build up her strength gradually. Tess’ medicated baths were reduced to just one per week when they started causing her additional stress, making her recovery was slower. After a few weeks, her skin started to improve and fur began to grow back. Earlier tests also revealed that there was nothing medically alarming causing her skin condition, and it was concluded that malnutrition was the most likely cause of Tess’s physical ailments. The diet Tess was on worked wonders: after almost seven weeks of eating ‘little and often’, she now weighs a much healthier 26kg. 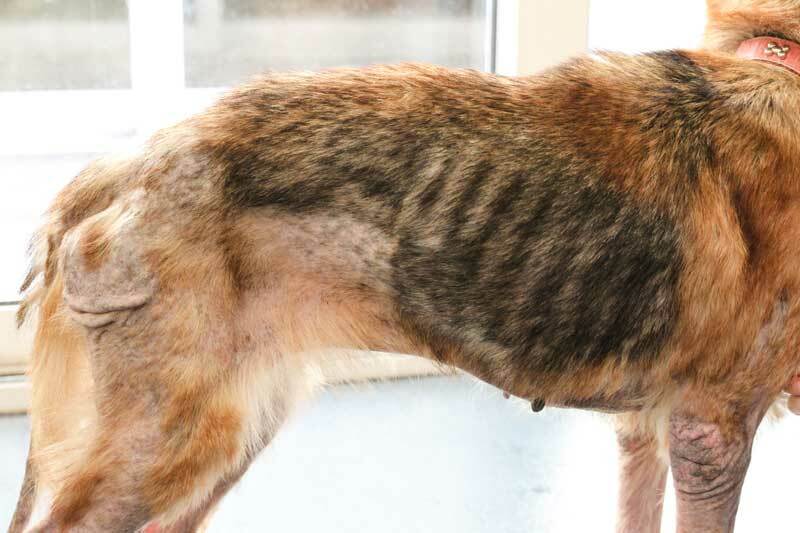 There is still a while to go before Tess is fully recovered, however staff at Mayhew are hopeful that she will continue to improve as they carefully monitor her progress and celebrate small victories. 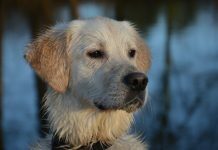 Maria continued, “Seven weeks on, we’re really pleased to a different side to Tess – when she arrived, she was very withdrawn and quiet, but she’s getting more playful and giddy by the day now and she loves her squeaky tennis balls! Her weight gain has been remarkable and her skin and fur already look much healthier. Tess has responded amazingly well to the team’s care and attention, and now engages in gentle play and daily walks. Mayhew has worked hard to gain her trust and will continue to stay by her side to build up her confidence. They hope she will eventually be ready to find herself a loving new home, where she can forget her trauma. However, until then, Mayhew needs help in order to support Tess and others like her.